The first Paralympic Winter Games in Örnsköldsvik, Sweden in 1976 were the first Paralympic Games to include non-wheelchair athletes, with events for amputee and vision impaired athletes in alpine skiing and cross country, as well as demonstration events in ice sledge racing and ice sledge hockey. After the Second World War, young men who had acquired disabilities in the war still wanted to ski. Modified equipment was developed and races were conducted, but it was not until 1974 that the first world championships were conducted. As alpine skiing grew, so did the number if classes and events, from two classes in 1976, sit ski events were added in 1984 and by 2000 there were 14 sitting, standing and vision impaired medal classes in total. At the 2006 Torino Games the medal classes were reduced to three – sitting, standing and vision impaired – with times for athletes across the 14 classifications adjusted in real time using a factoring system based on historical performances. Since 1994, skiers have competed in slalom, giant slalom, super-G and downhill. The super combined event was added in 2010 and snowboard will be contested for the first time in 2014. After the 1976 Games, Australian Ron Finneran remained in Sweden to develop a program for skiers with disabilities, in 1978, with ski instructors Bruce Abel and Nick Dean, he formed the Australian Disabled Ski Federation, now Disabled WinterSport Australia. When NSW ski resorts offered free lift tickets to disabled skiers, Finneran insisted they pay 50% to ensure the offer was not abused, and the discount has remained in place ever since. Australia has sent a team to every Paralympic Winter Games since the first, and every team has included alpine skiers. 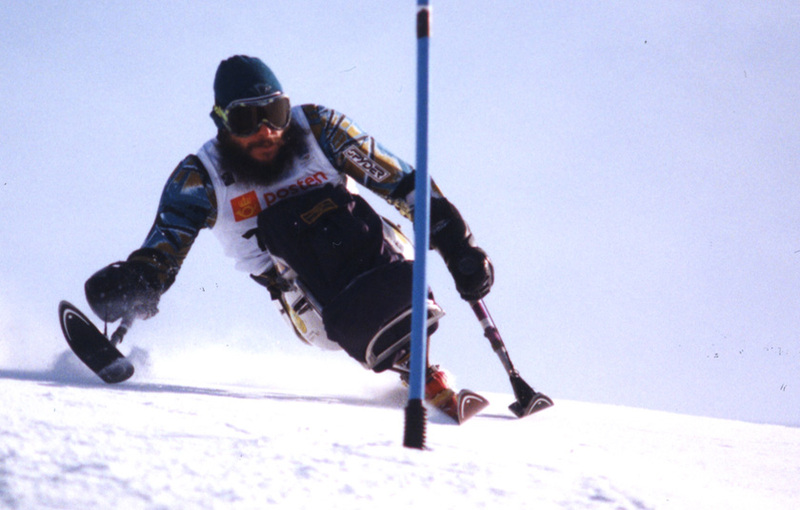 Australia’s first alpine skiing Paralympic medal was won in 1992. Australia has medalled at every Games since then and finished in the top 10 nations in alpine skiing by total medals, except 1998 (14th). Just 31 athletes and 4 guides have ever competed for Australia at the Winter Games and all but 4 of the athletes have been alpine skiers. In 2001 alpine skiing became the first Paralympic sport supported by a scholarship program at the Australian Institute of Sport, in 2014, the Alpine Skiing Paralympic program continues to be managed by the Australian Paralympic Committee.